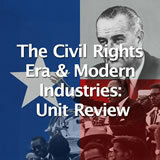 In this experience, students explore the Texas economy today and consider how it might change in the future. 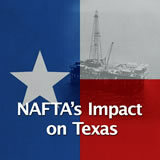 They examine the role of the oil and gas industry and identify new industries that are diversifying the Texas economy. Then they imagine how Texas will look thirty years in the future. 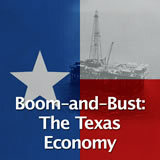 Understand the key industries in the Texas economy today. 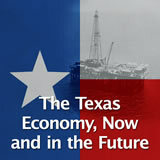 Consider how the Texas economy might change in the future. 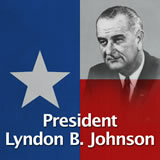 The Texas economy has gone through many changes over the years. In the 1800s, agriculture businesses such as ranching and growing cotton were the core of the economy. 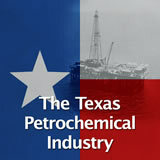 In the early 1900s, the oil industry grew rapidly in Texas and is still a major part of the economy today. 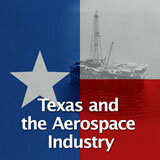 In the late 1900s, companies like Texas Instruments, Electronic Data Systems (EDS), and Dell Computer helped Texas develop into a center for high technology. Recently, healthcare and education jobs have been growing at the fastest rate in the state. 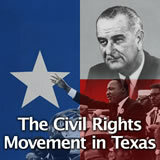 are in Texas: Houston, Austin, and San Antonio. One way to get a snapshot of today’s Texas economy is to do a quick survey to see what kinds of jobs your parents or guardians have right now. In a word or short phrase, list the part of the economy that your parent or guardian works in. For example, if someone works as a nurse, you would list “healthcare,” if they work as a teacher you would list “education,” and if they work as an electrician or plumber you would list “construction.” If you’re not sure what word to use, ask your teacher. If you have two parents or guardians who both work, choose the job that someone has been working in the longest. Ask the class if they see any patterns. Is there one part of the economy—such as healthcare, oil, or education—that was listed more than others? Did the list surprise the students in the class?